"The workshop I attended with Nancy Mellon offered me a window into my soul and the creative powers that reside there. What was remarkable was that the workshop did the same for each participant, and the result was an outpouring of creativity that the room came alive with pleasure, excitement, awe, mystery, magic and deep healing. Her storytelling work is profoundly important, especially now when our world desperately needs the wisdom power of our collective imaginations to create transformations." ​February 23 Boulder CO, SOUL & PHYSIOLOGY: THE HEALING POWER OF STORIES Introductory evening 7 -9PM See this flyer to reserve your place. March 7 Boulder CO, MEMORY AND MEMOIR, West Senior Center 1:00 – 2:30 For more information contact debraagee@gmail.com. 303-440-4148. April 5-6 The Helios Center, Carbondale CO, BODY ELOQUENCE workshop series. For details contact Helena Hurrell nurturingarts@comcast.net 720.390.8388. July 7-11 Mettabee Farm & Arts, Hillsdale NY, SOUL & PHYSIOLOGY: THE HEALING POWER OF STORIES Registration opens in February. 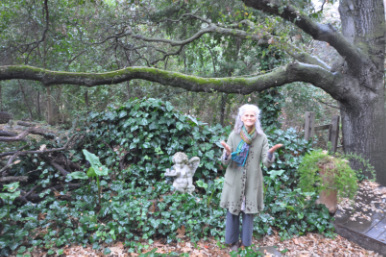 April 28 Pacific Grove, CA Summer Storytelling. To register please telephone: 831-373-3349. November 1-2 Body Eloquence: The Healing Power of Stories, The Helios Center, Carbondale, Colorado To register telephone Helena Hurrell: 720.390.8388. Nancy Mellon offers brief and long-term counseling and consultation for adults who are seeking new perspectives and greater well-being in their personal, family and professional lives. Private sessions take place in Littleton, Colorado, or by arrangement. Please contact Nancy Mellon at 831.373. 3349 or email nancy@healingstory.com. Telephone or Skype sessions may be paid through Paypal. ﻿﻿﻿Nancy Mellon's keynotes and other offerings are designed to meet the needs and requirements of your group or organization. Professional fees are contracted by mutual agreement. Nancy Mellon presents courses and workshops and helps organize and keynotes at symposia and conferences internationally. Her presentations include: Teachers'Conference, Buenos Aires, Argentina;American Folklore Society; Emerson College UK International School of Storytelling 1992-2008; California Teachers' Conference; Maine Public Television; Wainwright House; California Kindergarten Forum; Nantucket Arts Council; Cambridge Center for Adult Education; Whole Life Expo, Boston MA; Sharing the Fire; Play Therapy UK; Esalen Institute, California; Newbold House, Findhorn; Kibbutz Harduf, Israel; Abbottsford, Melborne; Convent of Saint Brigit, Kildare; Teachers Center, Dublin; The Kripalu Center; Rudolf Steiner Institute; International Society for the Study of Subtle Energies; Joseph Campbell Festival, Milford, NH; International Association of Expressive Therapies, Lesley University; Sesame Institute, London, UK; Storytelling for Life, Jarna, Sweden; Biographical Counseling Program, Sao Paulo, Brazil, Antioch New England Graduate School; The Graduate Institute, Milford CT; Cape Breton University; Christopher Reynolds Foundation; Winkler Center for Adult Learning, Garden City LI; Mudita Yoga Center, Peterborough NH; Sound Circle, Seattle WA; Storytelling as a Healing Art, University of Glasgow; TeachMe Peace, Walworth, WI, Waldorf school communities and learning centers throughout the the US, and in Canada, Ireland, Scotland, England, Israel, Australia, Brazil, Sweden, Iceland, Norway, and Denmark.